In his daily routine, the average person is trying to fight off millions of Marketing campaigns that are tapping on his shoulder to get him buy products. Some of these campaigns die trying, others manage to reach their audience, and then, there are these rare, one-of-a-kind species that make the world go wild about them. But what is so complicated about designing a Marketing campaign that everyone will remember? The answer will surprise you: simplicity. The trick about almost everything genius in life is simplicity, especially when you are trying to reach a huge audience. Bombarded by millions of Marketing and Advertising campaigns at all times, customers will only pay attention to something unique, catchy, and easy to understand at a glance. Today, I wanted to share the Marketing campaign that, in my opinion (feel free to disagree! ), was the most outstanding and successful for the last century – and I will explain why. The campaign Share a Coke was a groundbreaking Marketing success. For the first time in more than a decade, the brand managed to raise sales with more than 2.5%, and the consumption of the popular drink increased by 7% in less than a year after release. 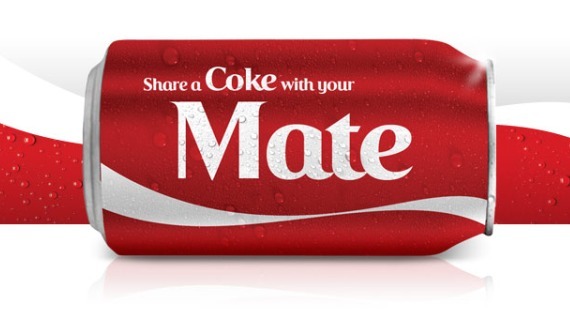 Share a Coke started in Australia with the purpose of increasing sales and encouraging brand engagement in the summer of 2011, and it was subsequently rolled out in 80 countries. The campaign re-positions the traditional Coca-Cola logo, substituting it by the slogan “Share a Coke”, followed by a person’s name. To better reach its target audience, Coca-Cola released coke cans and bottles with the 250 most popular names of each country, and printed them out on the labels. Psychologically, people respond better to personalized experiences. In today’s world, saturated with information and infinite experiences, customers are being very selective when it comes to dedicating their full attention to anything, especially when it makes them feel a part of the crowd. People want to feel special, and unique – and there is nothing wrong with that. If a brand doesn’t find an effective and personalized way to communicate with them, they will go to the one that does. What Coca-Cola did: personalizing a product by branding it with the customer’s name is the most simple and effective way to stand out and get noticed. By printing the 250 most popular names in every country, Coca-Cola made sure that the majority of the population is covered, and – look at that! – the ones who didn’t find their name still felt special because their name was rare. 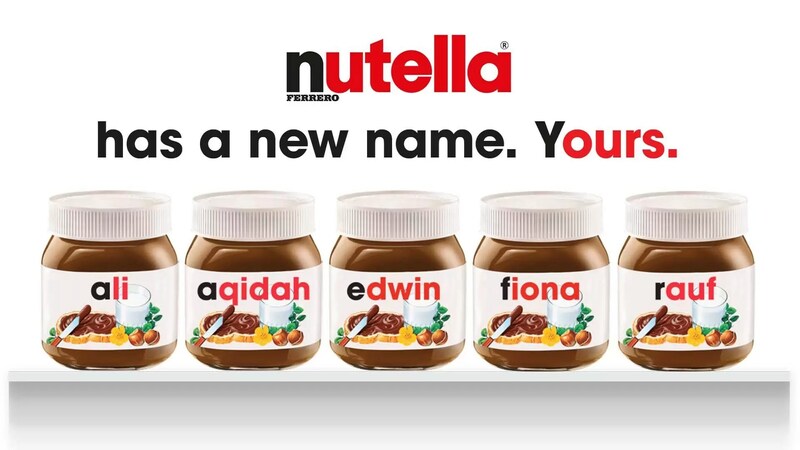 Okay, I am sure this outcome wasn’t a part of Coca-Cola’s plan, but it’s still a consolation for those who didn’t find their name! Curiously enough, the Share a Coke campaign didn’t end there. 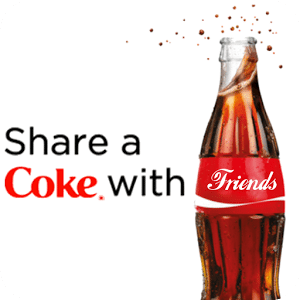 After the enormous success, Coca-Cola launched a variety of other Marketing campaigns, encouraging customers to share a virtual coke with their name on the label, or print their names of choices on coke cans from special vending machines all around the world. Getting personal with your customers is the best way to get their attention! Whether you love it or hate it, social media is an extremely powerful tool to get your product out to the public, and this isn’t going to change any time soon. There is no point in crafting an awesome, personalized product, if nobody is going to know about its existence. But that’s not all! When you craft an awesome, personalized product that people just love, they are taking it even further than you ever would – by sharing it with everyone around. A product that communicates itself – how awesome is that? What we can learn from it: when you are creating viral content by getting personal with your audience, you will find out that they help you communicate it even better than yourself. And which source is more trustworthy – a brand tweeting about their new products, or your best friend recommending you this awesome coke can with your name? In today’s digital world where sharing your favorite post is faster than brushing your teeth, giving people something viral to talk about is the dream of every company. So, next time when you are designing your Marketing campaign, don’t focus so much on making it boringly perfect and ideally structured for optimization – instead, try to spike an emotion in your audience, and relate to their interests and hobbies. As I mentioned in the beginning of the article, simplicity is the key to success. When you are trying to reach your audience, communicate your products or services in a simple and clear manner – the minute you force your customer to do a research on what your product exactly means, you have lost him. Nowadays, we are so saturated with information, that we have developed the attention spam of a goldfish. If you launch a Marketing campaign that nobody understands, you are only setting yourself up for failure. What was the mission of Coca-Cola’s campaign? You won’t believe it: the mission was…Share a Coke. Yes, simple as that. To make people share a coke. What can we learn from it? When you are designing your Marketing campaign, have a very simple and clear purpose in mind, and communicate it in the same simple and clear way to your customers. Don’t get tempted to enter in unnecessary, boring technical details that most people will have to search on Google to understand. If you take a look at the images below, you will see that there is very little text – because the message is perfectly clear, there is no need to enter any additional details. These were 3 lessons you can learn from one of the most successful international campaigns. Of course, when designing your Marketing campaign, set up realistic goals and expectations, and work towards spiking up an emotion in your audience – after all, if your product isn’t making them feel anything, it’s probably not going to be very successful in the long run.